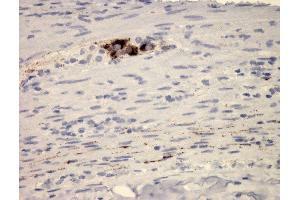 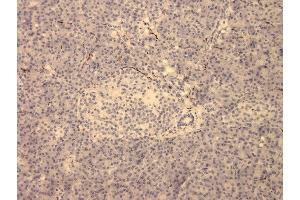 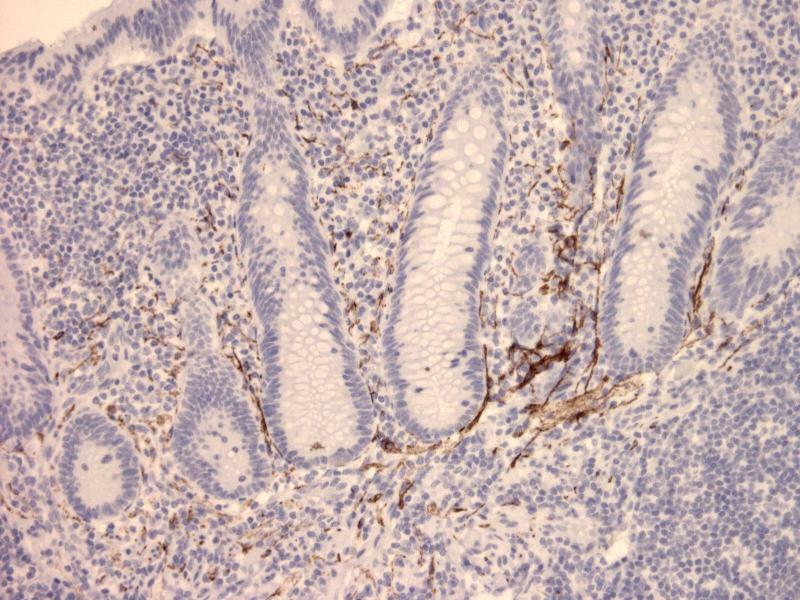 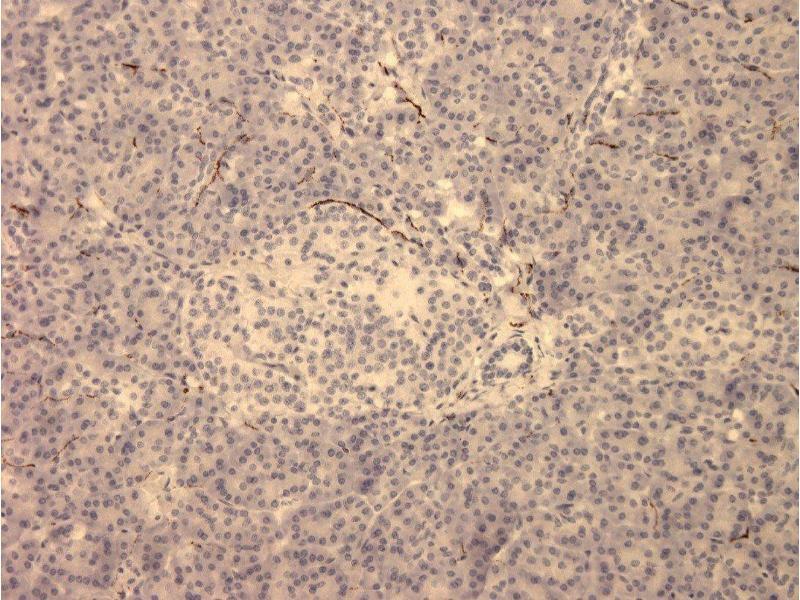 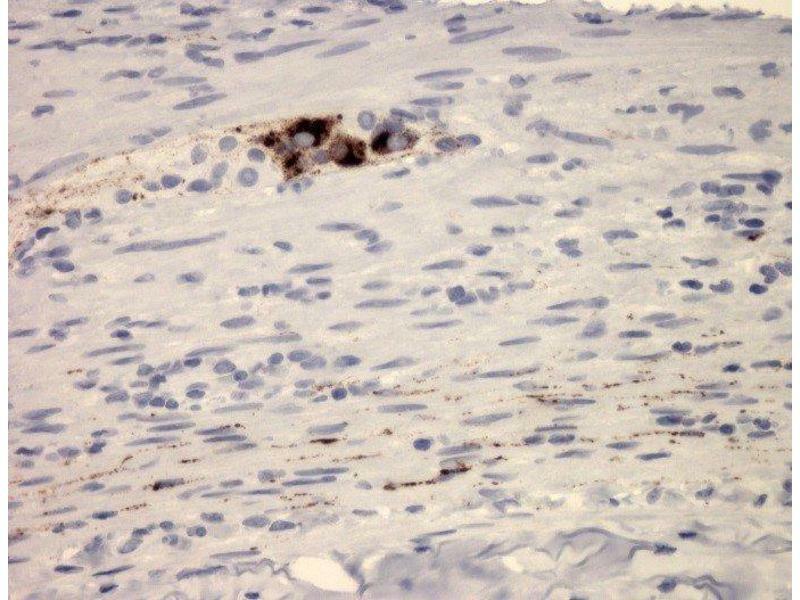 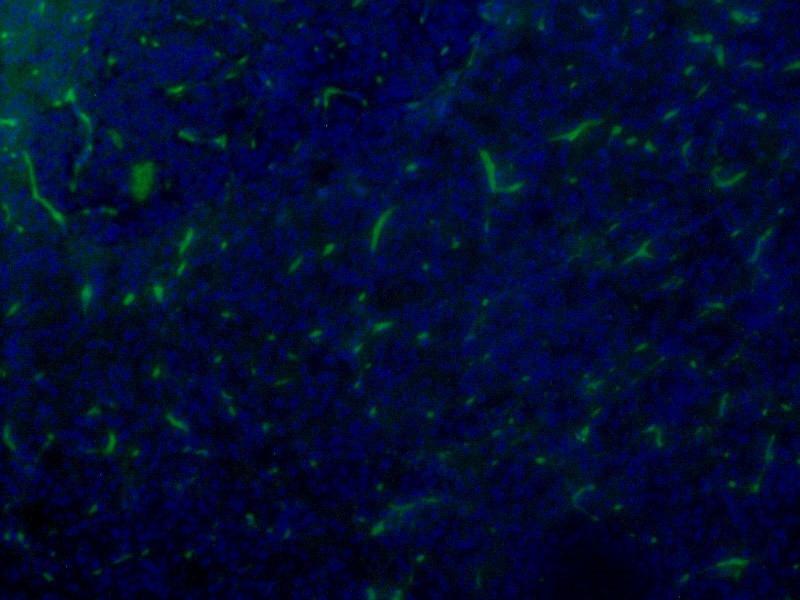 IF staining in human pancreas tissue stained with ABIN2192631. 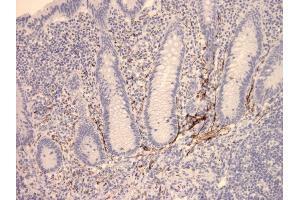 Signal is strong in nerves of exocrine part of pancreas. 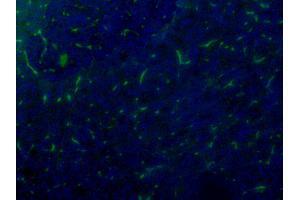 Dilution: 1:100.